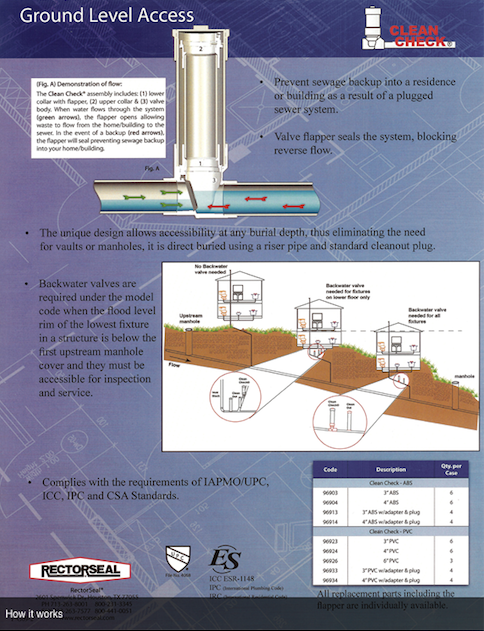 A Sewer Backflow Preventer is a device that stops the backward flow of sewage water from entering your home through floor drains and/or utilities pipes. This situation can occur in a home in the event of heavy rain, water main bursts or if there’s unexpectedly high demand on the city's water system. 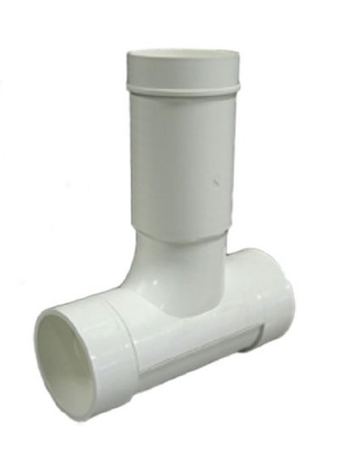 The device contains a flapper that blocks and prevents the reverse flow of water to back up into a home or basement in the event of a plugged sewer system. They are designed to be installed easily outside a home or business without using a costly manhole. The device is designed for readily accessibility for maintenance and cleaning. 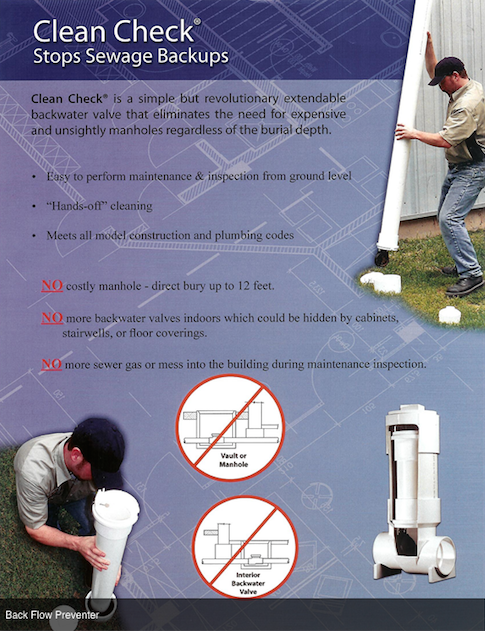 The installation and use of a backflow preventer helps homeowners avoid this costly cleanup. Backflow preventers can make the difference between having your basement flooded knee deep with raw sewage or staying high and dry. Give us a call if you have any questions regarding this product.